Kitchen! Kitchen! 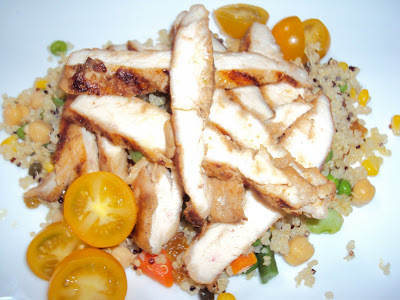 : quinoa and grilled chicken.....a lovely pairing ....@ kitchen! kitchen! quinoa and grilled chicken.....a lovely pairing ....@ kitchen! kitchen! A lovely and delicious pairing that you will never tire of. is doubly delicious and a feast for the eyes.